.... SOSTITUISCE LO STORICO YAESU FT-60 !! 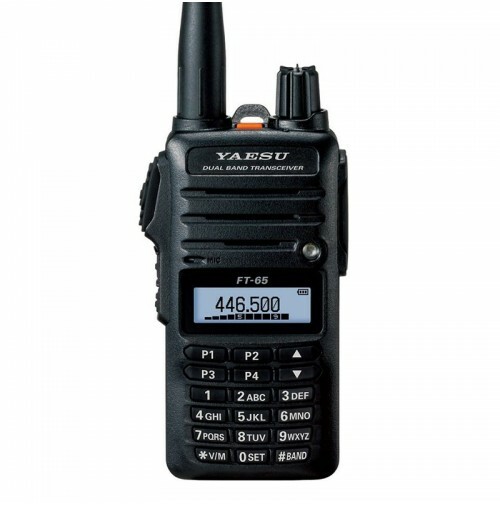 Il Yaesu FT-65E è un ricetrasmettitore portatile robusto, leggero e compatto VHF / UHF che offre fino a 5 W di potenza in uscita con impostazioni di potenza inferiori di 2.5W e 0.5W. Il Yaesu FT-65E vanta un grado di protezione IP54 con MIL-810-C, D ed E.
L'FT-65E dispone di un ampio display di nuova concezione sfondo bianco a LED che è vibrante e ben visibile, anche nelle condizioni più difficili. Il pannello frontale dispone anche di tasti programmabili richiamo rapido 4 utenti. 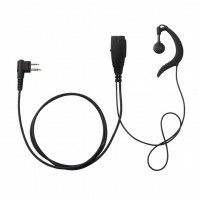 VOX è disponibile con l'optional auricolare SSM-512B. L'FT-65E viene fornito con una batteria 1950mAh Li-Ion che è in grado di oltre 9 ore di funzionamento. Un optional 2500mAh agli ioni di litio fornisce più di 11,5 ore di tempo di funzionamento. L'FT-65E viene fornito anche con un 2,5 ore Caricatore rapido per farti tornare in onda in fretta! Nella scatola con la YAESU FT-65E si trova un'antenna, 7.4V 1950 mAh Li-Ion (SBR-25LI), un caricabatterie rapido (SBH-22), adattatore CA (SAD-20B), Clip da cintura (SHB -18), Istruzioni per l'uso e la scheda di garanzia. The FT-65R is a very compact, ruggedly constructed Handheld VHF/UHF with three selectable power settings 5W / 2.5W / .5W allowing each user to select the power they need. The big front speaker provides a full 1 watt of crisp, clear audio quality. The unit comes supplied with a 1950mAh Li-ion battery pack capable of over 9 hours of operation, with an optional higher capacity 2500mAh Li-ion battery for over 11.5 hours of operating time. A 2.5 hour rapid charger comes standard, making the transceiver ready to operate at any time. Our newly designed large white LED displays are vibrant and highly visible. Four Quick Recall Keys (QRK) are user programmable to instantly recall favorite channels with just the push of a button. VOX operation is available with the optional Earpiece Microphone SSM-512B. Other useful features included: versatile scanning capabilities such as Programmable VFO Scan, Memory Scan, Priority Channel Scan, and Weather Alert Scan, WX Channels with "Severe Weather" Alert, PC Programming, Transceiver-to-Transceiver Cloning, FM Broadcast Receiver, Automatic Range Transponder System (ARTS), CTCSS/ DCS Operation, Busy Channel Lockout (BLCO), Automatic Power Off feature, and Transmitter Time Out Timer (TOT). The FT-65R is built to commercial grade standards, including the IP54 Rating for Dust and Water protection, and the MIL-810-C,D and E standards making this radio suitable for operation in the harshest of environments. Packaged with a powerful 1950 mAh Li-Ion battery pack, giving the radio over 9 hours of operating time, or upgrade to the optional High-Capacity 2500 mAh Li-Ion battery pack for over 11.5 hours of extended operating time. To ensure minimal down time the FT-65R also comes packaged with a 3.5-Hour Rapid charger. 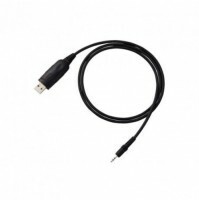 The FT-65R is capable of being programmed directly from a PC making all of the advanced setup features a breeze using the optional software and SCU-35 programming cable.